A quick post this evening to share this card. I used both sides of this double-sided paper, then fussy cut a few feathers and popped them up with foam tape. I added some Nuvo drops to them for some shine. 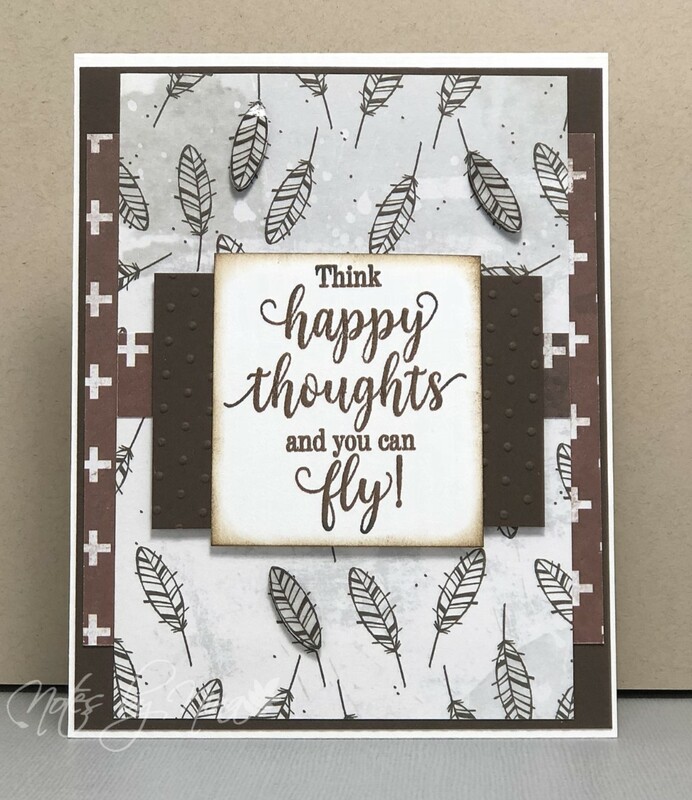 I stamped the sentiment and added a little ink to the edges, I layered it with a panel embossed for texture then they are both popped up with foam tape. 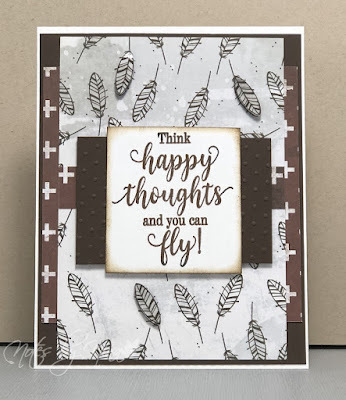 Supplies:White and brown cardstock, Designer Paper - We R Memory Keepers, Penny black-Happy Thoughts, Nuvo - Crystal drops. embossing folder. Gorgeous card, Nina - you always achieve a really pulled together theme between your choices of DP and your sentiments. love the sentiment you used another great card...thanks for sharing your cards and ideas.